Multimirror grazing incidence X-ray telescope SODART. To be deployed after the launch, it has 124 m2 total surface areas of the X-ray mirrors. Two modules of mutlimirror system will have eight changeable focal plane detectors - proportional counters, solid state and Bragg spectrometers and polarimeter. 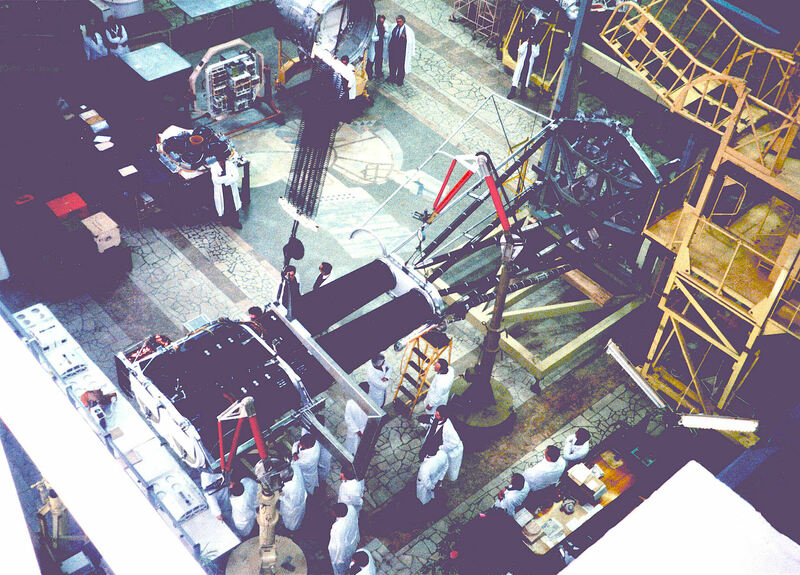 The TAUVEX ultraviolet telescope is coaligned with X-ray mirrors system. JET-X multimirror grazing incidence X-ray telescope. Both of two coaligned multimirror systems have cooled CCD matrices as X-ray detectors and will provide high angular resolution imaging (20") and fine spectroscopy (2% at 7keV). MART/LIME X-ray coded mask telescope is optimized for imaging and spectroscopy in the hard X-ray range. 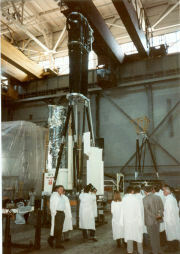 EUVITA normal incidence telescope for extreme ultraviolet. MOXE all-sky X-ray monitor SPIN Gamma-ray burst detector. DIOGEN cooled germanium detector for fine spectroscopy of Gamma-ray bursts. The available human resources of SGF Co. Ltd. as employes of KFKI RMKI (prsently Wigner RCP) participated in the development of the fault tolerenat central data acquisition on control computer (Russian name - BIUS) and of its electrical ground support equipment. 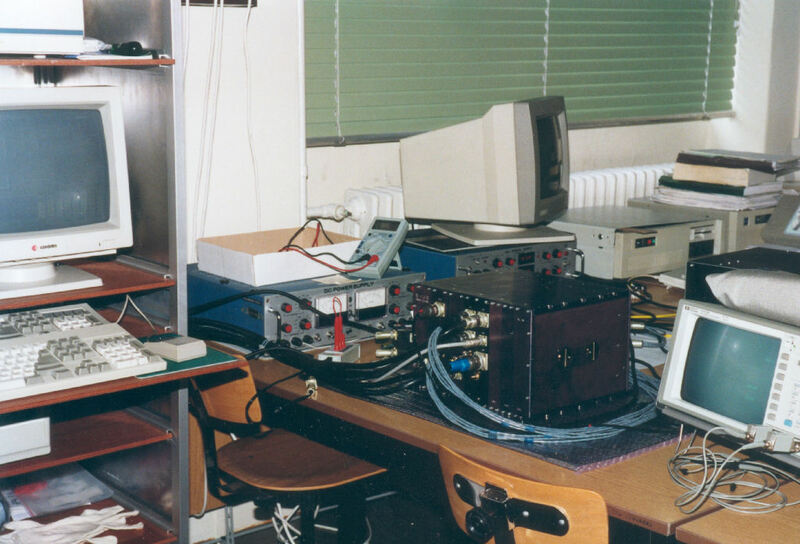 In order to avoid a malfunction due to any kind of erroneous operation of the external experiments, the BIUS has a modular construction in one hand; on the other hand, the external units and the modules of the BIUS are connected together on reserved, galvanically isolated, serial buses. The BIUS is composed of different, self-functioning modules having their own power supplies and the possibility of switching on/off independently of each other. The other advantage of modularity is that by implementing a standard protocol for data exchange, it makes possible to work out various flexible reservation methods. The processor module uses an 80C86-type processor; its memory (PROM, EEPROM and RAM ) is 16 bits wide and protected with Hamming code. The observatory was scheduled to fly in late 1995. Russian PROTON rocket planned to launch the spacecraft on to highly eccentric 4 days orbit with inclination 51.6 degrees. Initially, the apogee of the orbit will be 200,000 km, perigee - 500 km. 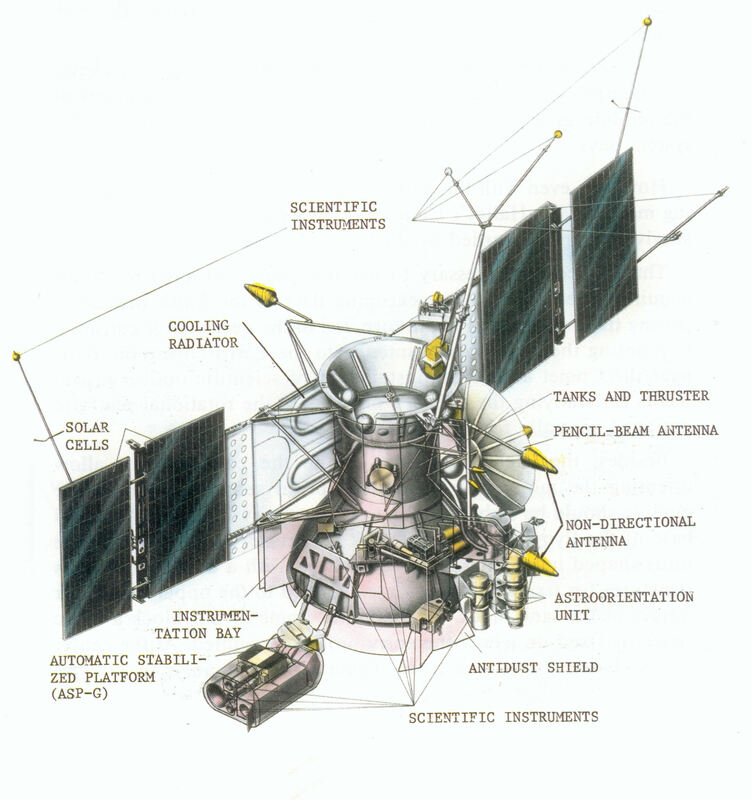 Such orbit parameters enables to perform X-ray observations during three days out of each four, when the spacecraft is beyond the Earth radiation belts. 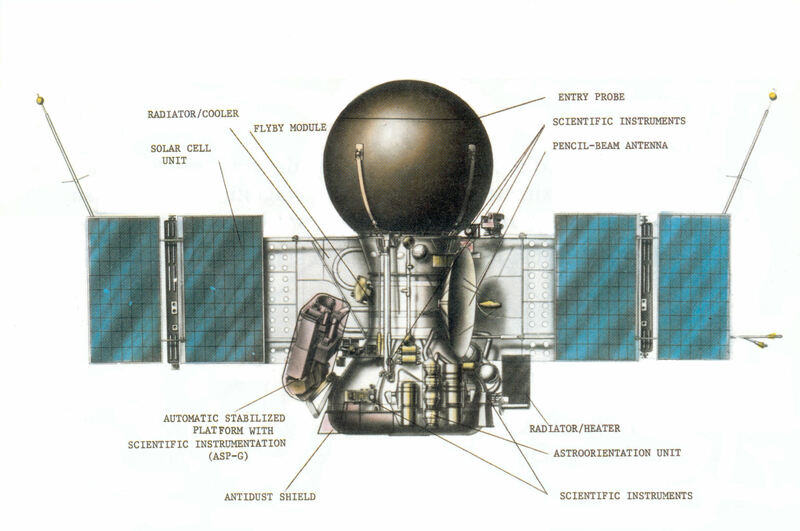 The operations with SRG spacecraft planned to managed and run by russian engineers from one of the tracking stations in Moscow district. 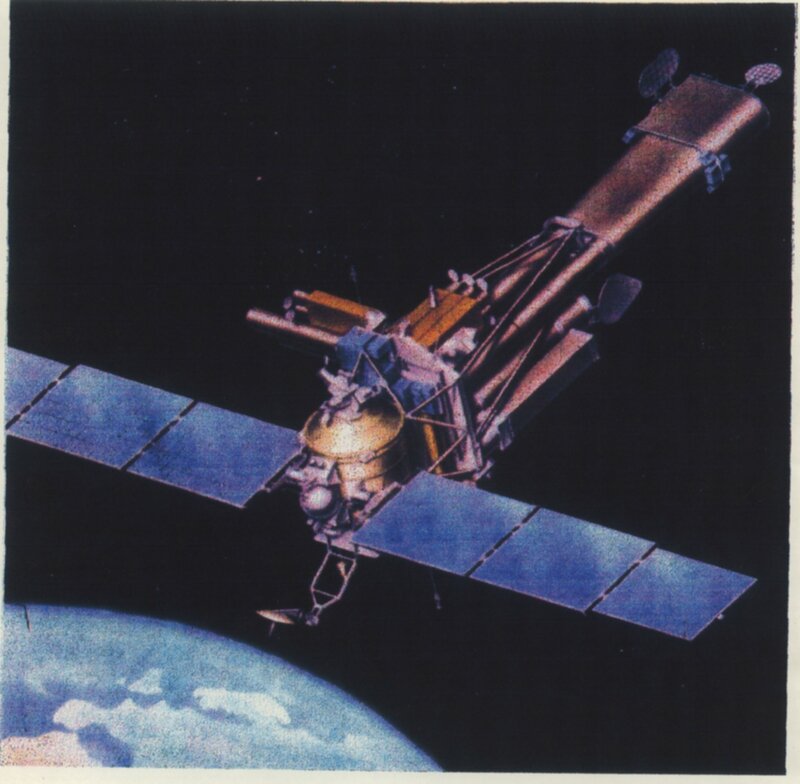 Direct contacts between satellite and ground station planned to performed once per day. The capacity of fast telemetry link planned 1 Mbit/sec. The expected amount of raw scientific data from spacecraft planned ~10 Gbit per day. The spacecraft planned to observe upto 10 different targets per day, the repointings being performed automatically without direct contact with the ground station. In 1997 the flight model of BIUS was ready, but the launch date postponed from finantial reason many times and the result was the KFKI RMKI withdraw his activity. Development of this early SRG version finally was cancelled in 2002.